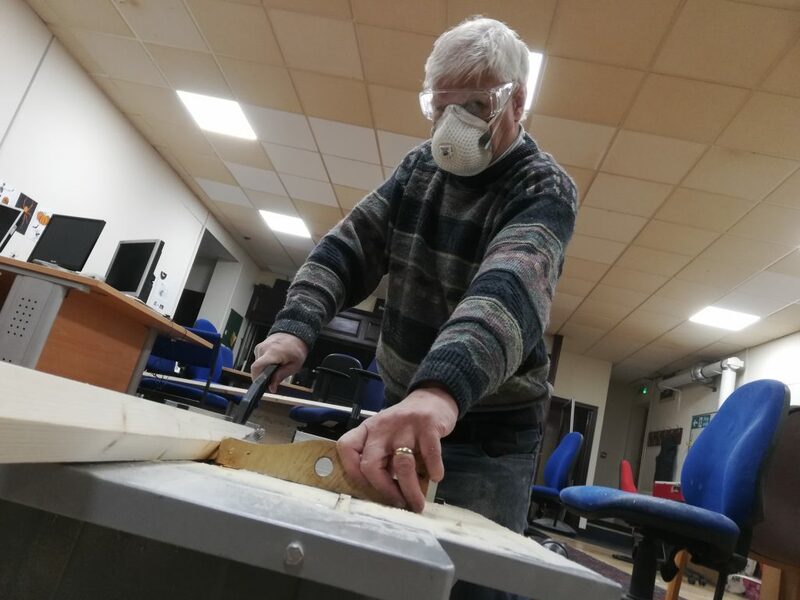 Basingstoke Makerspace recently helped Tadley Scouts and Tadley and District History Society, to produce a memorial for the fallen soldiers of Tadley. The background to this project started in early 2018, when a group of Tadley scouts, as part of a scouting explorer belt challenge, walked the length of Belgium visiting sites of interest relevant to the first world war . 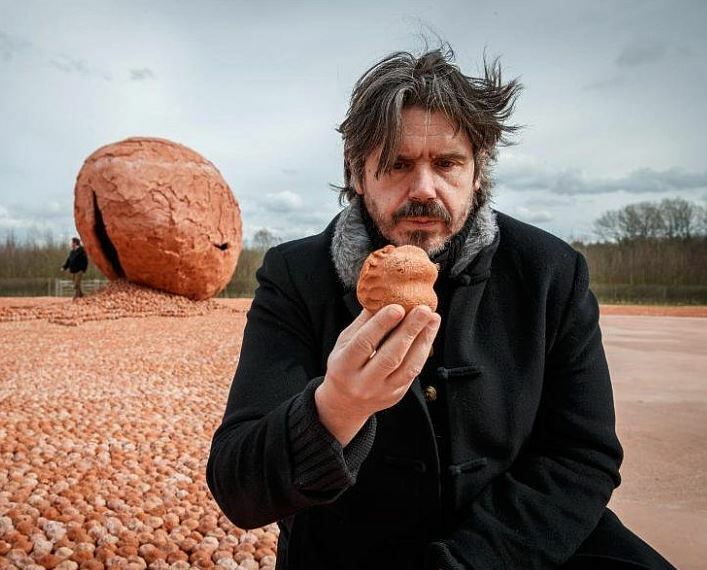 A chance encounter involved them modelling a clay model for an art installation, “Coming World Remember Me” by artist Koen Vanmechelen. 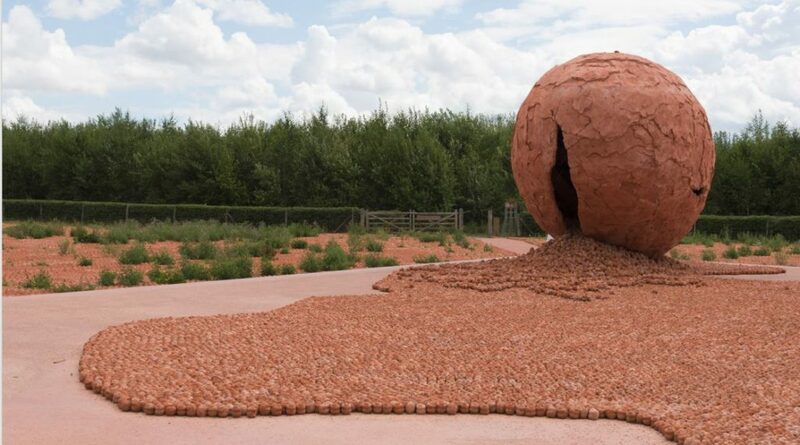 The 600,000 clay sculptures represent the Belgian town of Ypres, where more than half a million people died during the First World War. The clay model’s backs are bent and they have an associated metal stamp bearing the name of a specific dead soldier. The scouts found that knowing the name of specific soldier associated with the clay model made the person real in a way that sheer numbers could not. They visited his grave and found out more about his life. As a result of this experience they decided it would be good to do the same thing on a smaller scale for the fallen of Tadley. 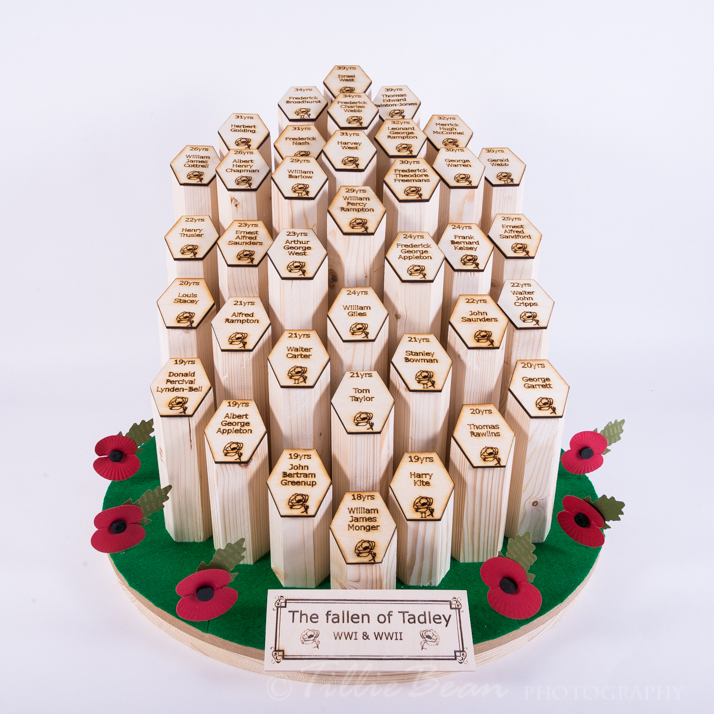 The sculpture to commemorate the dead of Tadley has one hexagonal column for each soldier. 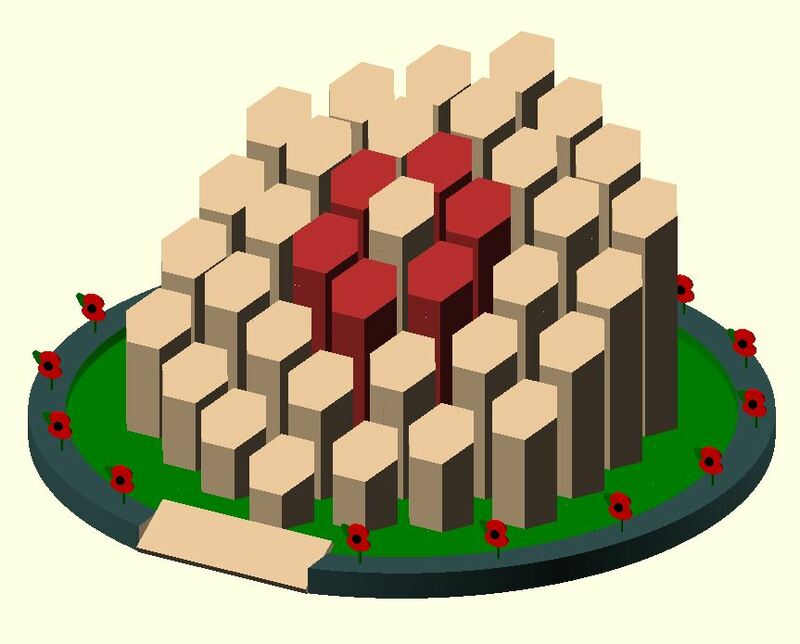 Thirty one individuals from the first world war and six individuals from the second world war. Information about the soldiers is now the subject of a book by Tadley and District History Society. 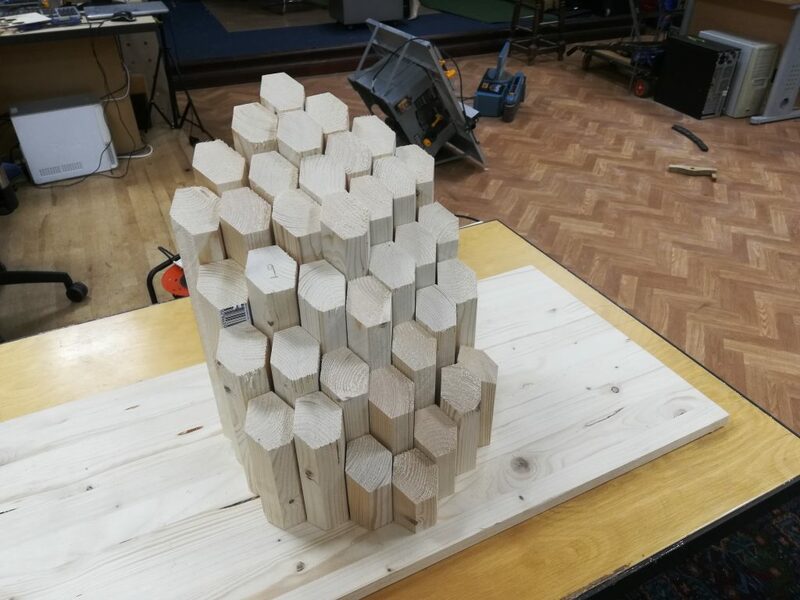 The memorial was created in Basingstoke makerspace over a period of two and a half weeks. 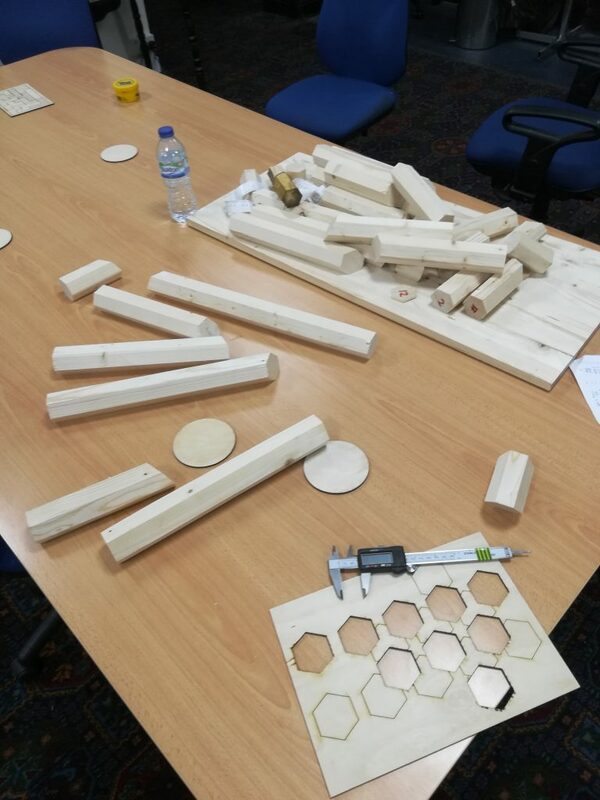 The circular base was designed with Fusion-360 and cut out with the X-carve, The hexagon columns were cut out with the bench saw and the soldiers names and title plaque etched with the laser cutter. 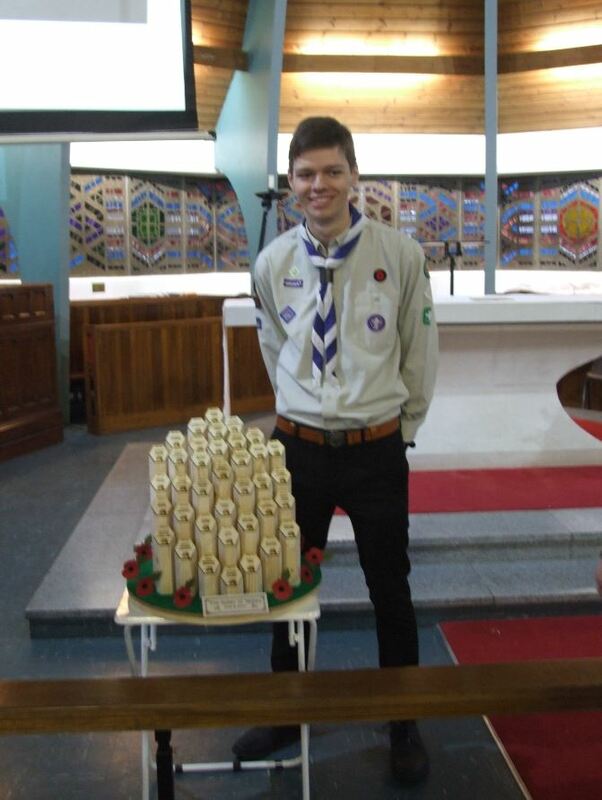 The memorial supported talks by the scouts and the vicar at the 2018 Remembrance Service at St Paul’s Church in Tadley. 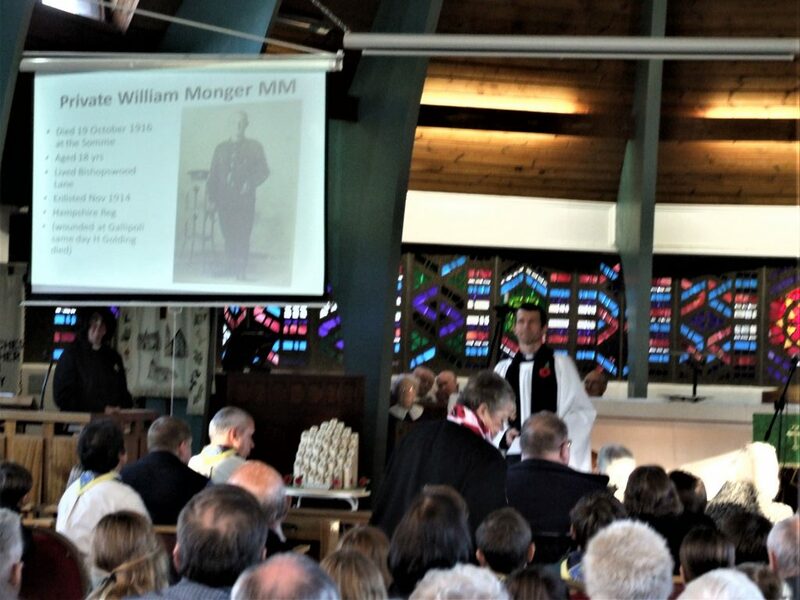 Relatives of lost soldiers were present at the service. A brief description of each soldier brought home what a huge impact the loss in 1918 of so many individuals made to a community of about 1500 people. Everybody would have known somebody who had died. When you look at the memorial the majority of the fallen were between 20 and 30. Some were as young as 18 and the two oldest being 39. Tadley town council has decided to permanently display the memorial. A glass case will be commissioned to contain it.